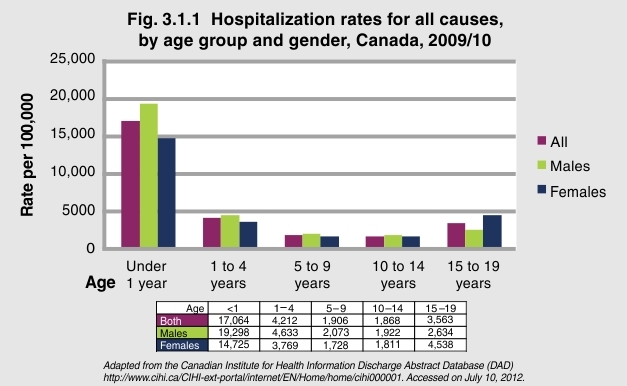 In 2009/10, infants had, by far, the highest rate of hospitalization of all age groups. Infants were discharged from hospital at a rate of 17,064 per 100,000, which was at least four times the rate of any of the other age group. Male infants were 1.3 times more likely to be hospitalized than were female infants.